Not the tallest lift on the block, but by far the best riding. If you're going for show only... may as well move along. If you're looking for the very best suspension on the planet, with the best ride quality for your Tacoma, at the best price. Then you've hit the right place. 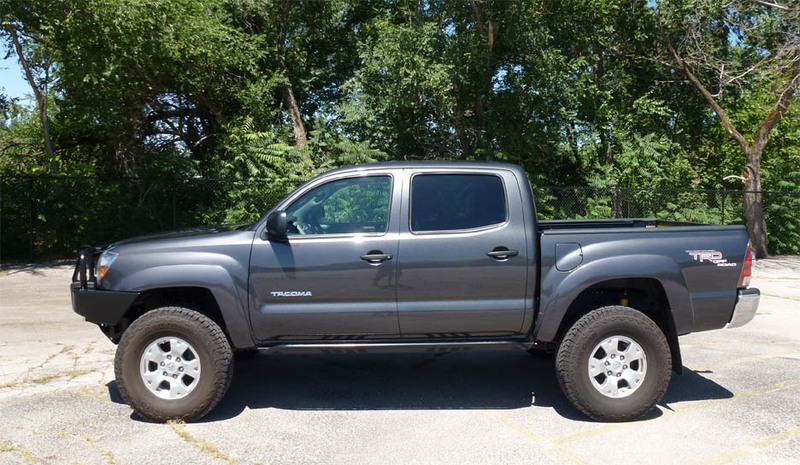 Why drive just another stock truck that looks like every other stock truck on the road when you can make your Tacoma a capable offroad vehicle as well as attention-grabbing head turner! Pictured to the left is an Old Man Emu equipped Tacoma. 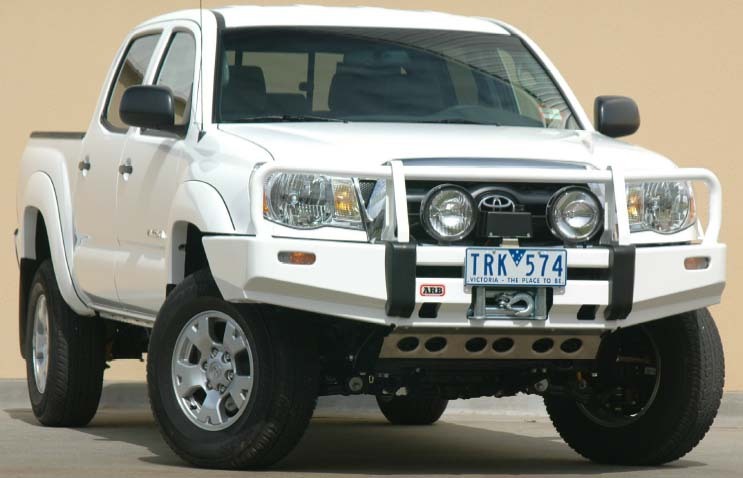 Also available from Rocky Road are the ARB Bull Bar, Safari Snorkel, and Air Lockers! Old Man Emu lifts are listed and priced below. Some folks might ask why OME suspensions are not available in taller lifts? OME's philosophy is quality and sensibility without complications. OME sizes their lifts such that there are no problems or modifications required to steering, braking, or drivetrain. Any taller and these items do become an issue. For most people, the extra inch or so isn't worth all the headache and cost necessary. Do it right the first time with OME! And we do get asked this from time to time... we do have full front and rear OME kits for the pre 1998 Tacomas. PLEASE NOTE: All OME suspensions sit nose-down... all of them, from any retailer. 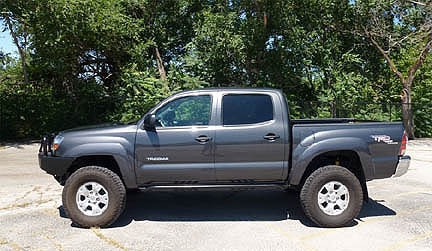 Rocky Road specializes in Toyotas and so we know this is the case and manufacture our own TRIM PACKER kits which help to level your truck when the Old Man Emu suspension is installed. We highly recommend picking up these optional Trim Packers with your OME suspension, or you will most likely be a little bummed at the nose-down stance from the standard OME suspension upgrade. ASSEMBLED Toyota Tacoma Strut kits!!! NOW AVAILABLE from Rocky Road Outfitters.... Assembled Toyota Struts! For Tacomas with front coil and strut systems. PLEASE NOTE: All Old Man Emu kits, sold thru any 4x4 shop leave the front of the Tacoma low. FREE WITH PURCHASE OF A FULL OME KIT FROM ROCKY ROAD (includes free diff drop too)!! Hankook 33" tires, ARB Bull Bar, and RRO Supersliders. Ship estimates displayed on our shopping cart will differ from the final billing as the leaf springs must ship individually, are oversized, and UPS adds extra fees for springs... none of which can be accurately reflected in the online shipping calculator. Old Man Emu Tacoma lift kit 2016 and newer, 2"
kit system for a great final stance! Old Man Emu Tacoma lift kit 2005-2015, 1.75"- 2.5"
4 OE Leaf spring bushings are required for OME rear springs. We include them in the Complete and Assembled kits. They are also available as optional parts. Old Man Emu Tacoma lift kit 1998-2004, 1.75" - 2.5"
1998-04 OME Suspension w/Assembled Struts! *OME2882 front springs will provide 2.75" of lift, are widely used by Toyota drivers, but may affect CV angle and are not warrantied. 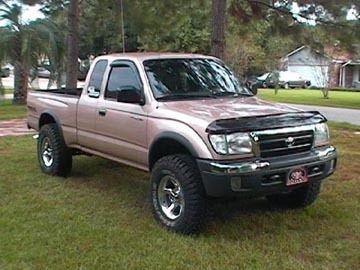 Tacoma lift kits for 1995-97, 2.5-3"
Includes Includes F/R springs, F/R shocks, (2) Bushing kits, preassembled struts! 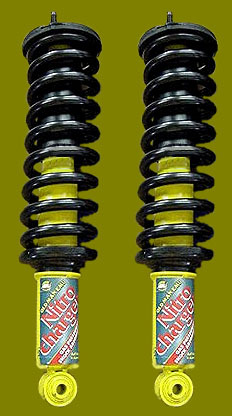 Tacoma Old Man Emu 4x4 Shock Absorbers & Suspension Systems.